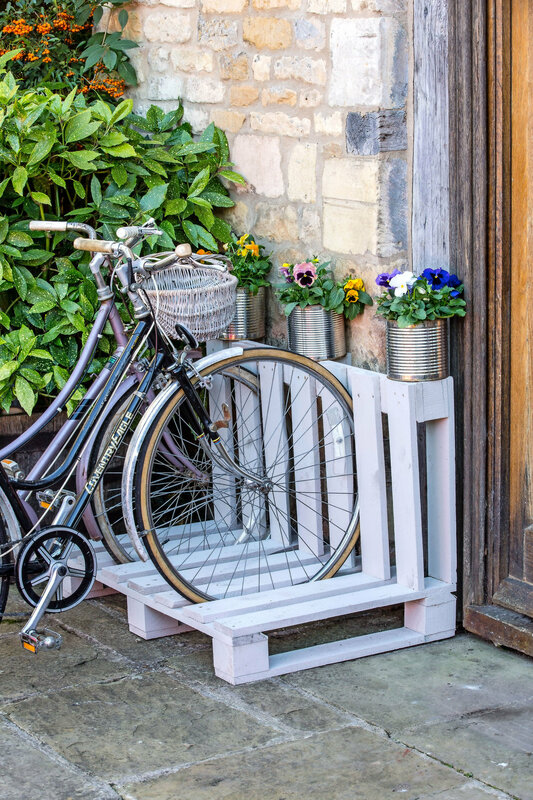 A wooden pallet can be given new life as a bicycle rack in a simple project for a fine spring afternoon. It provides a sturdy and practical means of keeping bicycles upright and tidy in readiness for enjoying days out on two wheels during glorious spring days. 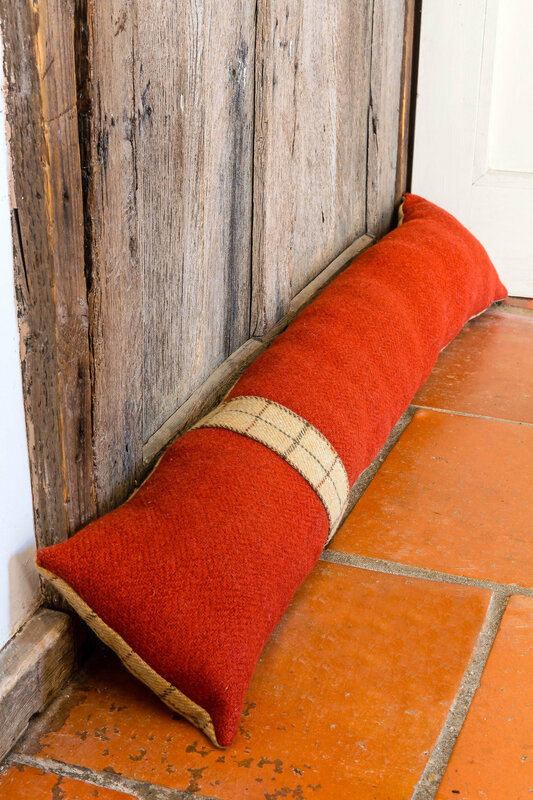 This chunky handmade draught excluder is an easy-to-make craft project. Using two pieces of fabric, in russet and checked fabric, it is both attractive and effective. It's autumn, which means that pumpkins are everywhere. 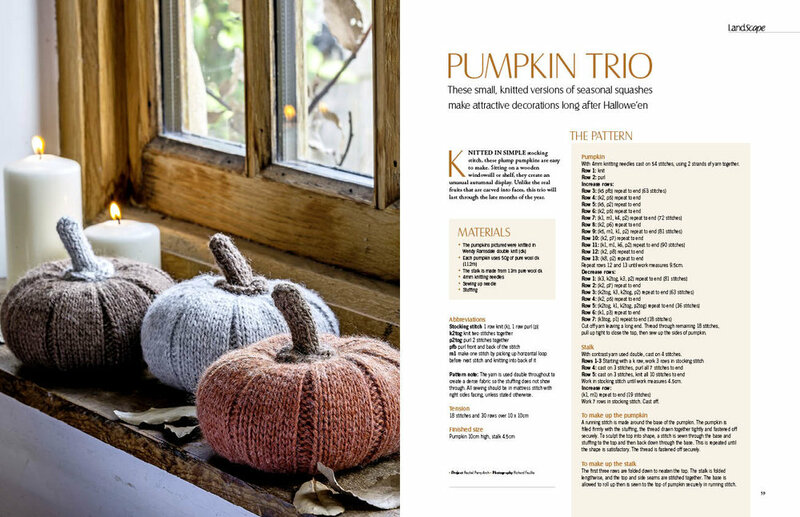 Why not knit your own this year using our lovely pumpkin pattern. Knit one for a friend too! Click on the picture to enlarge. Our Christmas 2015 issue featured a charming knitted doves project. Full instructions for the cable knit birds were in the magazine - information on ordering back issues can be found here. To download the instructions to make the moss stitch dove, click here. Our Christmas 2014 issue featured a charming crochet snowflake project, extracted from Simple Makes: Hook, Yarn and Crochet by Ros Badger (Quadrille, RRP £12.99). To read more about the book click here. To download the instructions and templates for the project click here or on the image below. 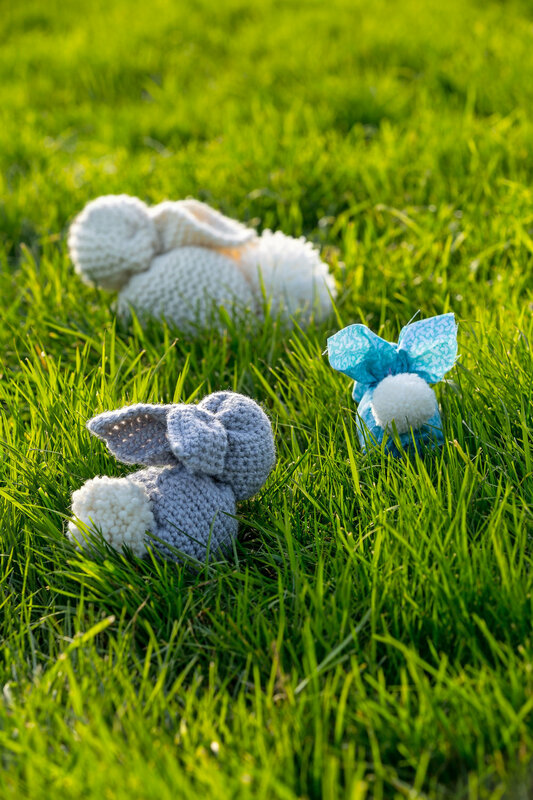 In the Jan/Feb 2014 issue we featured a simple make for a pair of children's slippers. Download the instructions and template by clicking here or on the image below. Our Jan/Feb 2014 issue featured a paper-cutting children's craft. Download the template by clicking here or on the image below. In this pair of craft projects, we show how you can make a cosy cushion or a felted bag, by upcycling two old woollen jumpers. If you don’t have any to hand, a raid of a local charity shop may turn up some unusual results. For our Mar/Apr 2013 issue we brought you instructions for creating a family of chickens in felted wool. To download the project instructions click here or on the image below. Making a rag rug was one of the craft features in our Nov/Dec 2012 issue. Download the instructions by clicking here or on the image below. In our Nov/Dec 2012 issue we showed you how to embroider winter vegetables onto napkins. Download the instructions by clicking here or on the image below. Using leaves to create a striking autumnal print was at the heart of our Sept/Oct 2012 tote bag project. Download instructions by clicking here, or on the image below. In the Sept/Oct 2012 issue we showed you how to knit an autumnal shrug. Download the instructions by clicking here or on the image below. A simple table is transformed with the careful application of a swirling rose mosaic. To create this yourself, download the instructions by clicking here or on the image below. Making crochet poppy flowers to decorate a range of items was one of the craft projects in our May/Jun 2012 issue. Download the instructions by clicking here or on the image below.